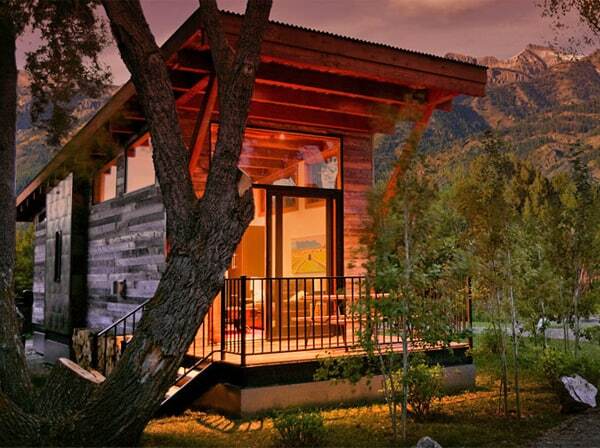 features an innovative new perspective on mountain town lodging in Jackson Hole, Wyoming. 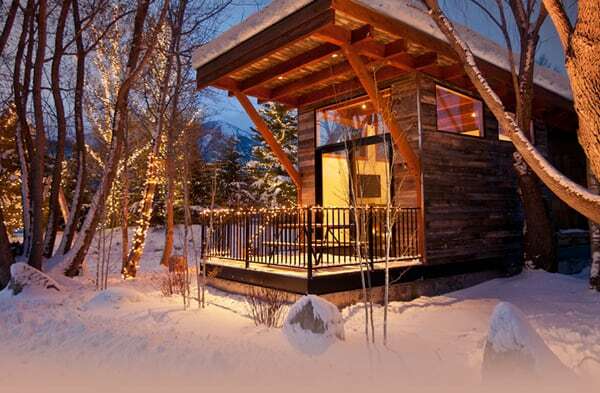 The luxury resort offers 19 ski cabins that reflect the heritage of the valley’s original homesteader cabins. 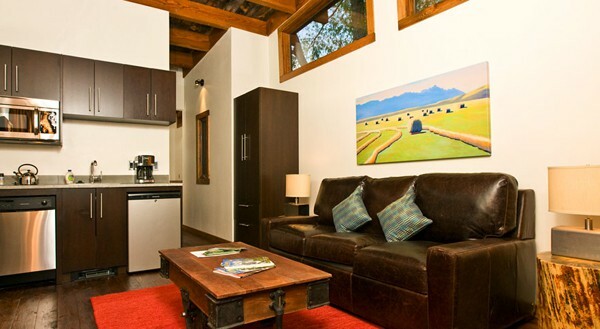 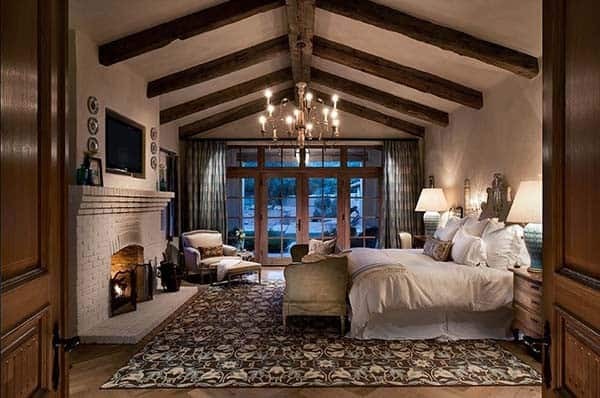 That rustic appeal is then combined with understated elegance and modern conveniences. 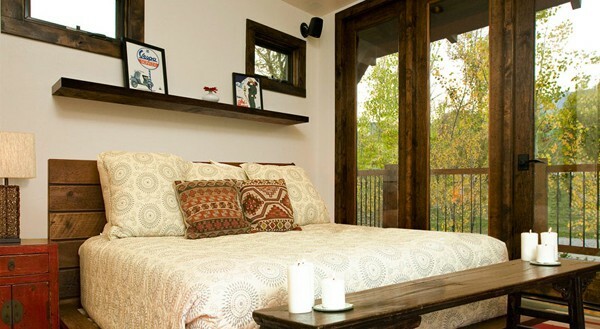 Every cabin is designed to offer a combination of rustic and modern aesthetics. 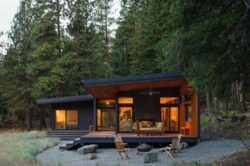 Designed by , the cabins are a “Wedge” design which features an angled roof, starting low above the bedrooms and builds to 17 feet in the living room. 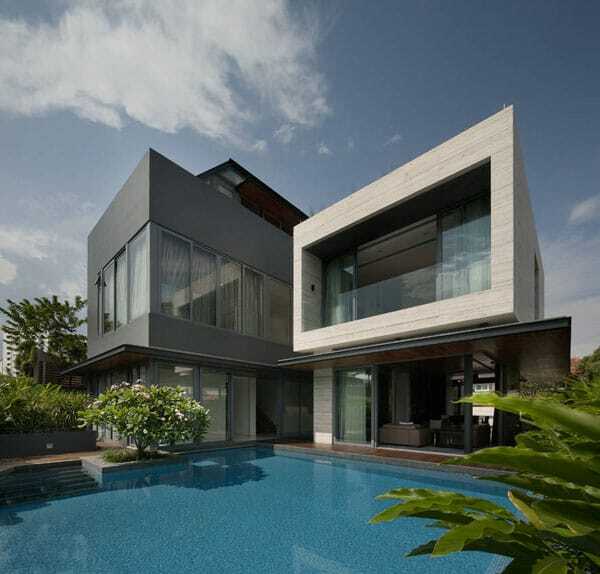 Trapezoidal windows grow similarly from back to front, offering natural light while maintaining privacy. 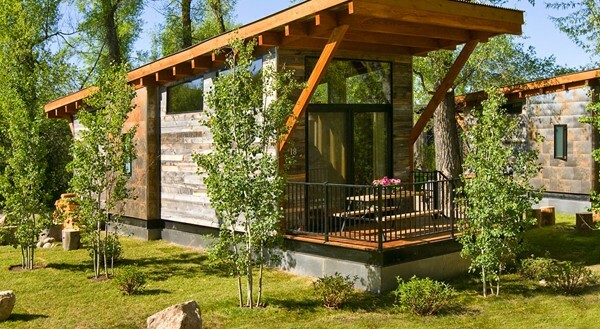 The front of the cabin is almost entirely glass. 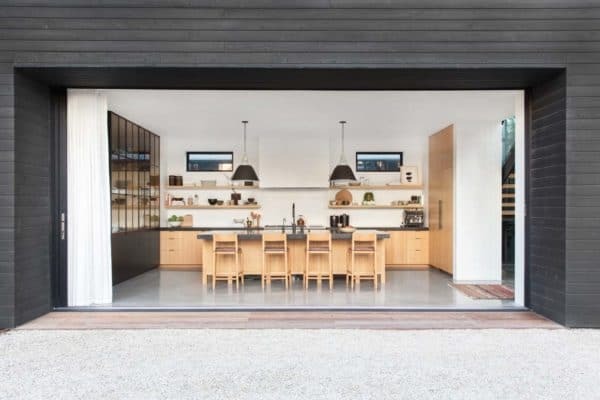 A large sliding glass door opens to a private deck. 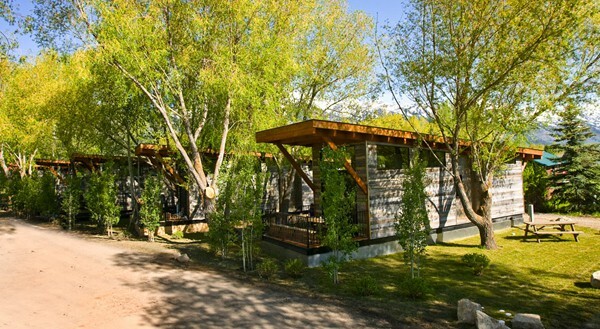 Each cabin has one bedroom, a bathroom, a kitchen/living room and a private deck. 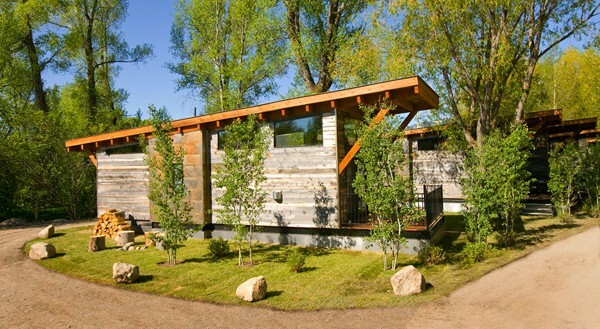 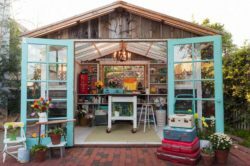 The ceilings and exterior side are covered with reclaimed Wyoming snow fencing. 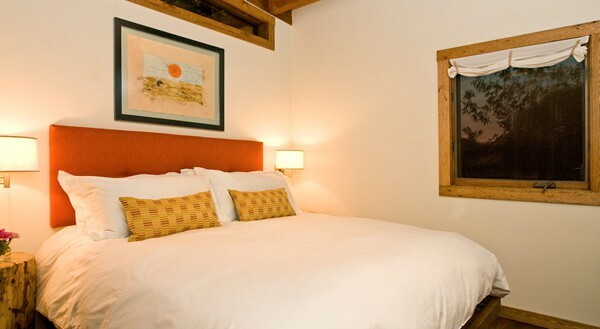 The bedrooms feature a king size bed with two side tables and linen lamp style sconces. 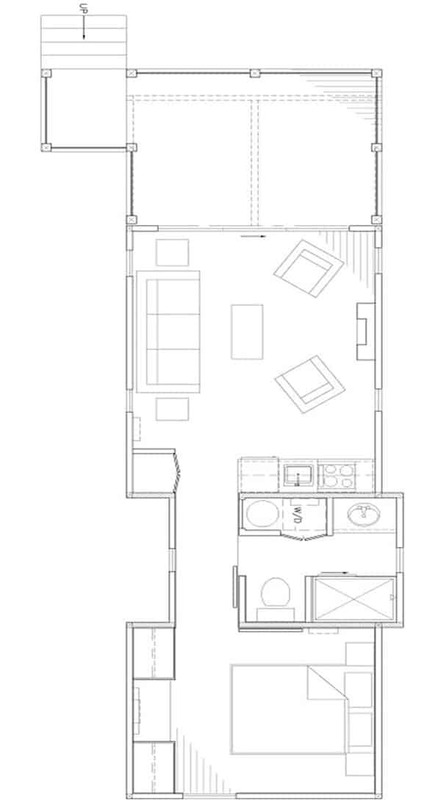 The kitchen/living room was designed to offer both comfort and functionality. 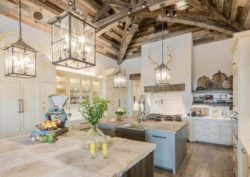 The mini-kitchen is fully equipped with concrete countertops and modern rustic cabinetry. 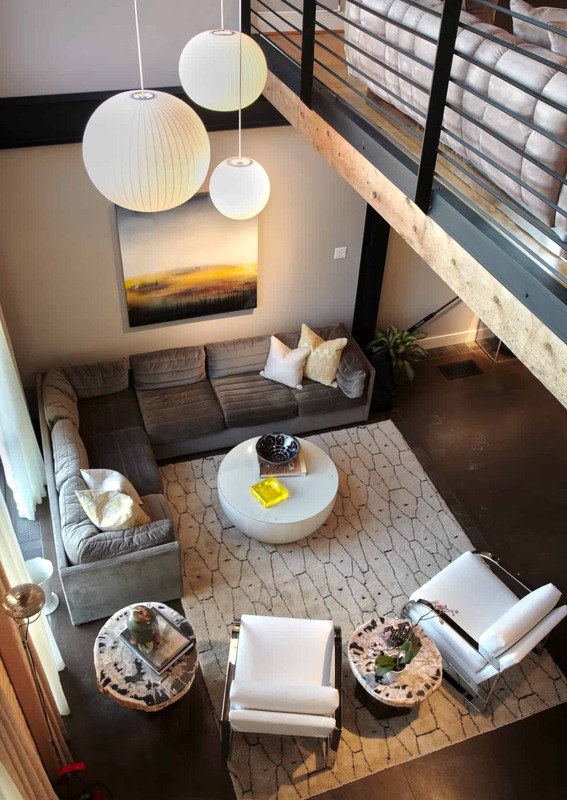 A large bomber leather sofa, two cowhide ottomans, two barn wood side tables, custom made wrought iron lamps and railroad cart coffee tables make up living room furnishings. 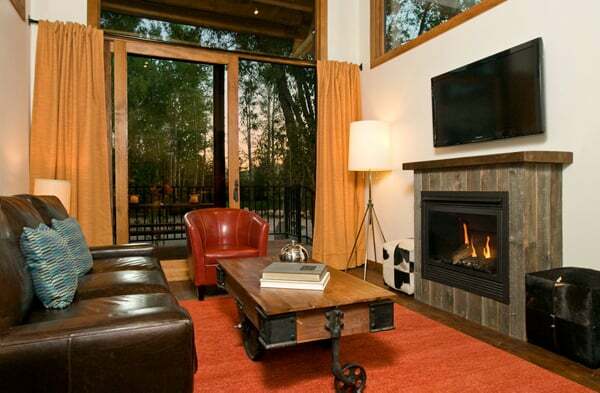 A mini-high efficiency gas burning fireplace warms the room. 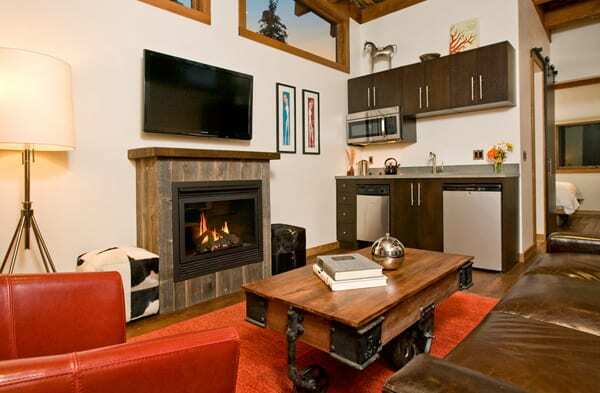 Mounted above the fireplace is a flat screen HDTV and attractive, colorful art brightens every room. 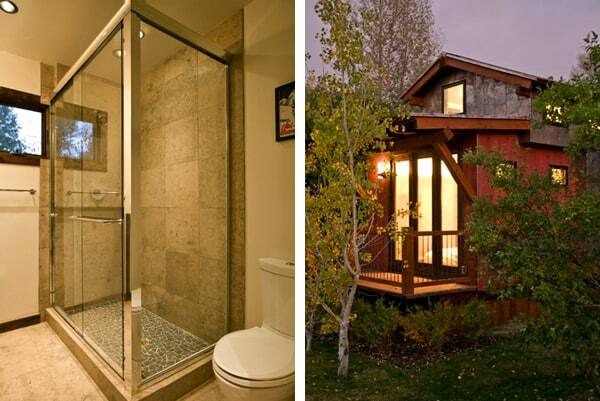 The fully appointed bathrooms are small yet functional with custom vanities with concrete countertops/sinks and quartzite floors. 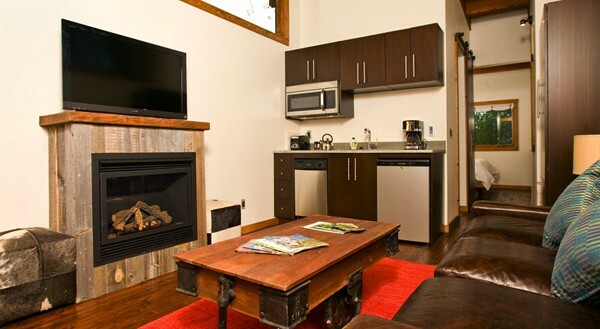 An additional bonus for those that don’t want to vacation without their pets, the cabins are pet friendly! 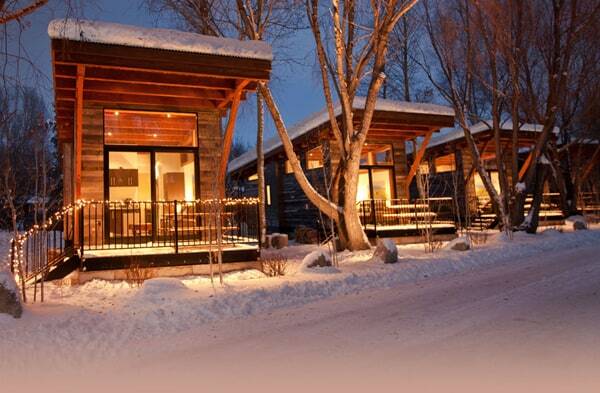 To stay in one of these luxurious cabins, rates run from $289 per night, from .